Andrew Hughes is back with another cross-sport multiple and he's backing Manchester United to beat West Ham in Saturday's evening game. A downturn in form has made Manchester United's task of finishing in the Premier League top four tougher, but they can pick up a vital three points on Saturday. 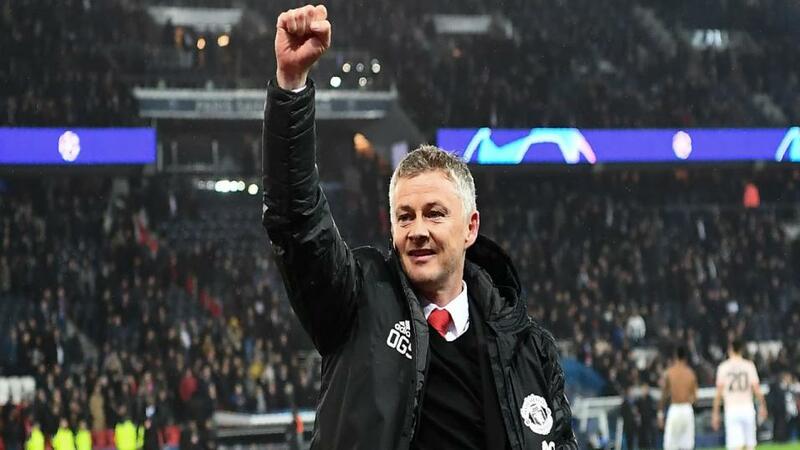 Defeats to Arsenal and Wolves, as well as a scrappy performance in a victory against Watford, are reminders of the work that new manager Ole Gunnar Solskjaer still has to do, but this weekend they are up against opponents in even poorer form. The Hammers have nothing to play for, but as Steve Rawlings points out, this doesn't seem to have enabled them to cast off the shackles, and they've lost three of their last four in the Premier League. They've also failed to score in four of their last five on the road, so this looks like an ideal opportunity for United to grab a crucial win. There's a busy weekend of IPL action in store, and you can catch up with the latest expert previews and predictions on the Betting.Betfair page. Rajasthan Royals have one of the tournament's most dynamic top orders, featuring Jos Buttler, Ajinkya Rahane and Steven Smith, but they haven't made much of an impact, while Ben Stokes has been disappointing, particularly with the ball. Meanwhile, after their habitual slow start, Mumbai are getting into form with a string of wins, the latest of which saw them overhaul a tough target against Kings XI Punjab, courtesy of an outstanding innings from stand-in captain Keiron Pollard. They look strong in every department and are a solid bet to beat the struggling Royals. For Newcastle Knights, this has been a start to the NRL season that they'd like to forget, but I'm backing them to edge out Manly on Saturday. The Knights have lost three of their first four, but only by a combined total of ten points, and although coach Nathan Brown clearly hasn't settled on his best line-up, they aren't far away from turning close defeats into narrow wins. Manly have shown plenty of grit so far and they pulled off a surprise win against the Rabbitohs last week, but the absence of Tom Trbojevic will surely catch up with them eventually and they were guilty of a string of unforced errors against South Sydney. This is likely to be close, but the Knights look the better option. Total Odds for this multiple: [3.74] Remember, multiple prices are based on our Sportsbook product, so any winnings are exempt from commission.